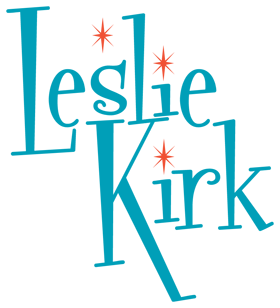 I’ve been Leslie Kirk since June 10, 1999. For business reasons, I continued to use Leslie Nord because is a name associated with Webs Your Way, and the Miva Merchant Community. My story remains the same and I’d like to share some of it here for you. My interest in web design was piqued around the time AOL first introduced unlimited internet access. I was playing with Netscape Composer and a beta version of Front Page (for the Mac) trying to grasp the ins and outs of building web pages. My soon to be ex-husband asked the same question everyone else was asking – why? Call it a gut feeling, this internet thing was going somewhere. After some life changes, I learned how to use a PC and all the applications that came along with it. In 1997, I was introduced to the owner of Holiday Treasures. Her customers were ordering collectible glass ornament from a printed text (description only) catalog or through “Trunk Shows” held in her home. I saw this as an opportunity to see what I could really do and I starting building a “web site” for Holiday Treasures. Granted, it was a conglomeration of pages hosted across a number of AOL account personal spaces and used form mail to place an order, but it was the first online presence I had built for a business. I learned how to scan images and eliminate moiré. While I was out and about, I also designed my “paid for” first web site – Cattail Creek RV Park & Campground – I earned a whopping $35 for it. My first exposure to Miva Merchant was while working for Webpagecity in Morristown, Tennessee. Back then it was just at Version 1. The owner was looking for an easy to use shopping cart application for clients that wanted to start an online business. While there, a new web development opportunity presented itself in Birmingham, Alabama. I left Tennessee with a new understanding of what web site owners wanted and out of that Webs Your Way was born. The project in Birmingham was interesting because it enabled me to explore the world of virtual hosting. I quickly discovered I could host more than one web site under a single hosting package. Not only able to host the project website, I was able to move Holiday Treasures under one roof and give my new husband space for his project, Volsfootball.com (which he has sadly neglected). Things were looking good for Holiday Treasures, so good that they opened little shop in Homewood, Alabama. Within a few months of opening, opportunity knocked again, I was asked to become the store manager in addition to being the webmaster. The online store was doing well enough to keep the store open during the “off season”. I had moved the site from AIT.net to VServers. VServers offered Miva Merchant as part of its virtual server package and that was perfect for Holiday Treasures. Sales from the web site doubled in the second year and doubled again in the third year. The web site was so busy it became a full time job in itself. While at Holiday Treasures, more web site opportunities came my way. The Delken Group begat Digicon Corp, Couples Insights and The Hall Group. Holiday Treasures next door neighbors, Lindsayland and Southern Firearms Appraisals, Inc even wanted web sites. 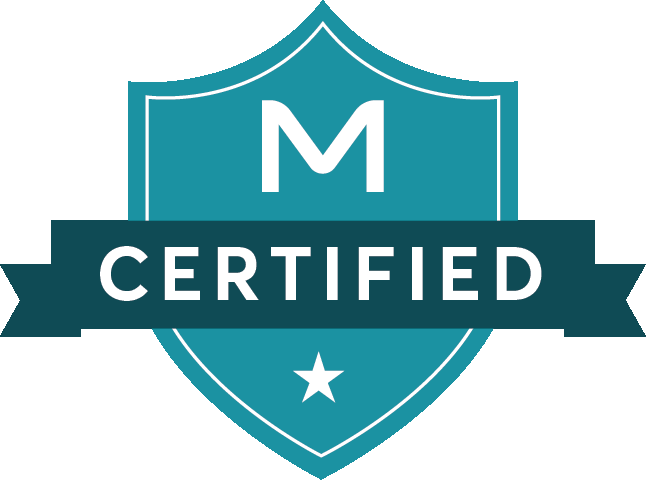 I was also starting to gather contacts within the Miva Merchant community and began helping Motorworks Performance build an ecommerce site with Miva Merchant. I moved on from Holiday Treasures and left the web site in the capable hands of the store owner’s sister. I was now a Web Editor for EWTN, with my first challenge being a driven producer’s vision of web pages that updated weekly to follow along with the series he was filming – Onward Pilgrims. I also took over the electronic newsletter Wings, which started out with around 20,000 subscribers and grew it to nearly 75,000 subscribers today. From the time I left Holiday Treasures, I stayed firmly connected to the Miva Merchant community. Learning the ins and out of each version as it came out, while getting to know the third-party module developers and not being afraid to ask “stupid” questions. I was also able to answer some of the basic questions new users had about Miva Merchant. I wanted to be able to give something back to a community that helped me so much. In my continuing desire to help, I started taking on a number of pro bono projects, offering free server space, web design and help where needed. Out of this desire to help, web sites like Birmingham Big Orange Club were built and hosted at no charge. I offered web space to friends that helped us through difficult times. My biggest pro bono project has been for Fr. Mitch Pacwa, S.J. and his teaching apostolate Ignatius Productions. I developed a full blown Miva Merchant e-commerce site with Word Press for his ministry. I probably spent more time on it than any other site, perhaps with the exception of Holiday Treasures. All I asked was that they pay for their secure certificate and to keep me in their prayers. I also used my electronic newsletter experience and helped them improve upon the newsletter they send out. Over the past ten years I have built some great working relationships with many of the developers in the Miva Merchant community. All sorts of things happened in 2004. One of them was with James Harrell and Copernicus Business Systems. I was keenly interested in the products his company had to offer so I joined the Copernicus Designers Club Program. I had already been recommending and installing Copernicus Search Engine Optimization Suite and had just been introduced Celestia – a Comprehensive Content Management System so it was a good fit. 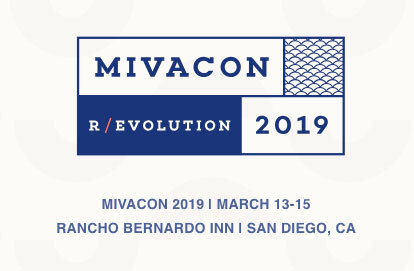 I also attended my first Miva Merchant Conference in San Diego, California. I was finally able to put faces to many of names I just saw in emails. I have been fortunate to attend the 2005 and 2006 conferences too, with my major contribution being the pictures I took at each event. During the time, I worked at EWTN I was afforded the opportunity to receive continuing training with Dreamweaver, Photoshop, Flash, CSS and even a little ASP and Cold Fusion. I was able to attend seminars on Search Engine Optimization and design layout. In February 2006, MIVA Corp moved from a list-serve users group to a forum based format and was invited to beta test the application. A few months down the road I was asked if I would like to be a volunteer moderator. I saw it as yet one more way to give back to a community that had given me so much. November 1, 2007 opportunity was knocking on my door again, but I wasn’t quite ready to open that door. James Harrell was once again inviting me to join forces with him and his new venture – eMediaSales. By the end of December, I couldn’t hold that door shut any more and realized this was THE opportunity I had been looking for since building my first Miva Merchant site for Holiday Treasures.